We are super excited today because we have a guest post from Halifax-based interior stylist Nancy Dibblee of Fine Interiors! She’s hear to tackle a question we get all the time: how high should you hang your pendants. Keep reading for her expert advice! (psst. Looking for pendants? We’ve got you covered! Check out the selections from Mitzi, Hudson Valley Lighting, Troy, Matteo, Hinkley, Sonneman, DALS, Eglo, and Z-Lite! Lighting can be tough! A common question I often get asked is how high do you hang a chandelier over your dining room table? 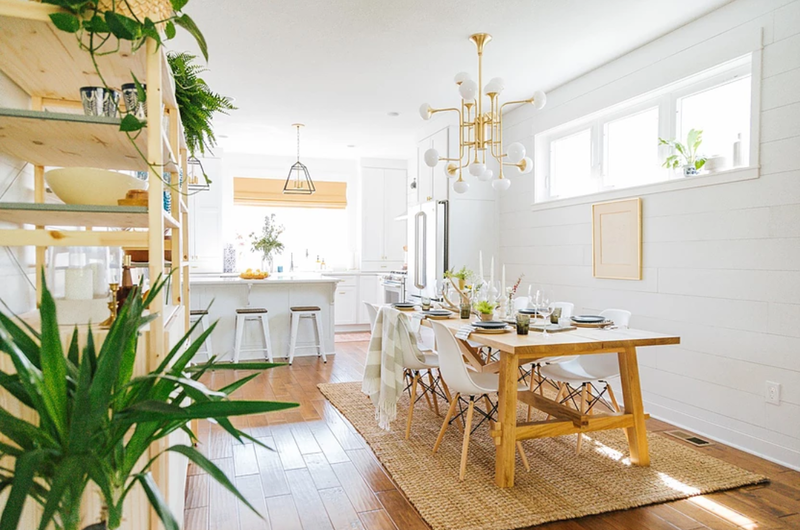 Or how far apart should your island pendants be? These questions can be tricky to figure out on your own. The right lighting can elevate the function and style of a room and take it from drab to fab in an instant. 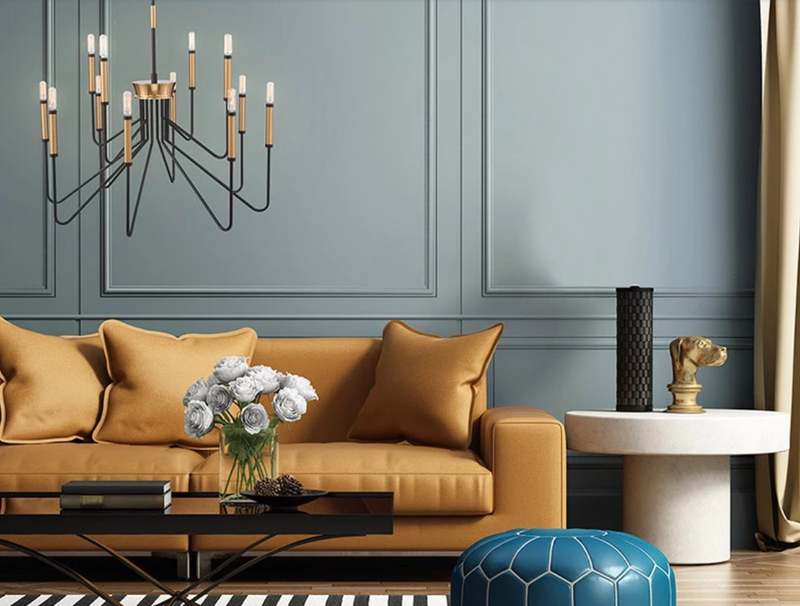 All the more reason to make sure you hang that chandelier or pendant in the right spot and at the right height to maximise the impact. My rule of thumb is as follows, when hanging a light over your dining room table in a room with 8’ ceilings I always recommend hanging your light 30-34” from table top to the bottom of the light. The same rule holds true for your kitchen island pendants. 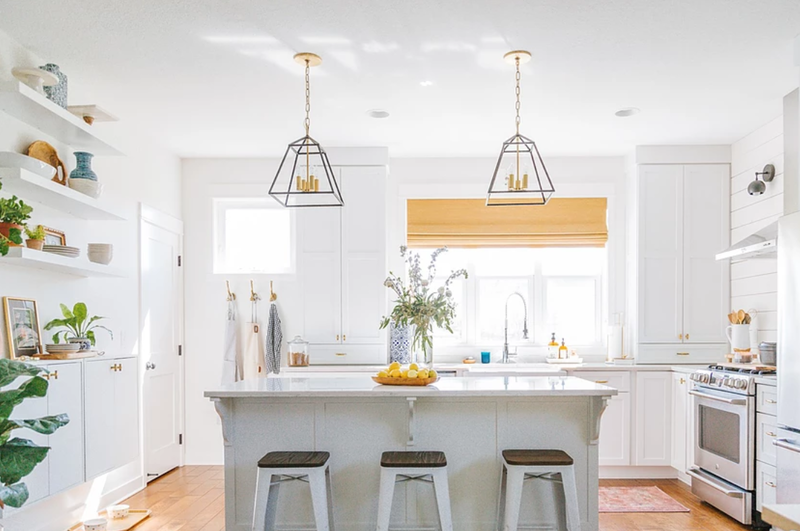 The distance from your kitchen countertop to the bottom of your kitchen pendant should be the same 30-34”, Keeping in mind that in both cases for ceilings higher than 8’, remember to add 3” per foot to the height of your light. 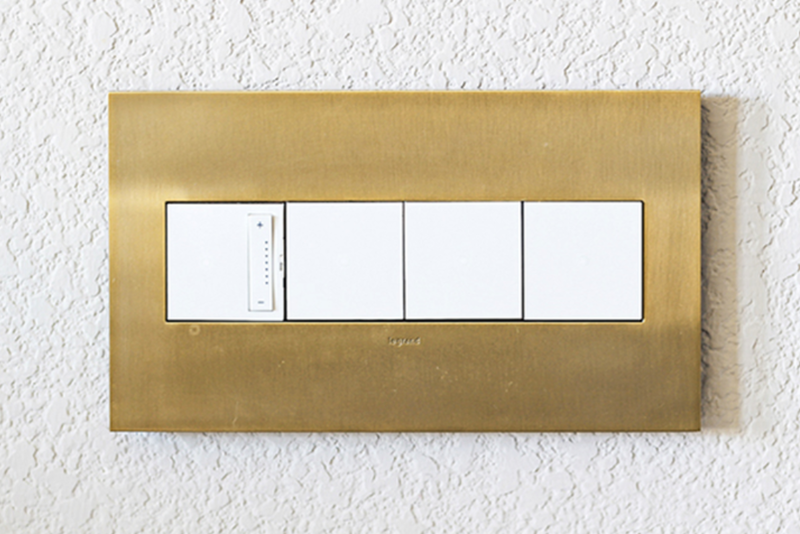 I also like to recommend installing dimmer switches, like these from the adorne collection and the radiant collection. Once installed, they allow you to enjoy both bright and ambient light from your pendants – perfect for dining tables where you might prefer brighter light for mealtimes and relaxing ambient light for your after-dinner conversations with friends. But with everything, personal preference can always come into play. Lighting, no matter what the setting, should make the room, furnishings and the people look their very best. And the fact is, you can’t really get it wrong; if you like how it looks and the lighting works well, you’ve done it right! About Nancy: Fine Interiors was born out of passion, energy, and a love of inspiring people to create beautiful spaces to live. From large-scale remodels to a simple quick makeover, Fine Interiors is available to help you select a wide range of challenges including, selection of architectural details and finishes, collaborating with architects and builders, decorating a functional beautiful space with furniture, fabrics, and accessories. You can find Nancy online on her website and Instagram!